Welcome aspiring innkeepers! We offer a large selection of bed and breakfast inns for sale, with simple tools to help you find the perfect property for you. The Spruce Lodge - 15 Rooms OWNER FINANCING! 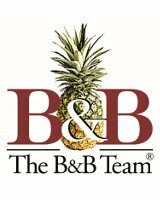 The B&B Team is an inn broker and consulting service provider serving innkeepers throughout the U.S.